Jewel Box Window Hummingbird Feeder. Our favorite window feeder. Hinged lid allows for easy nectar filling as well as cleaning. Includes a detachable Ant Moat. 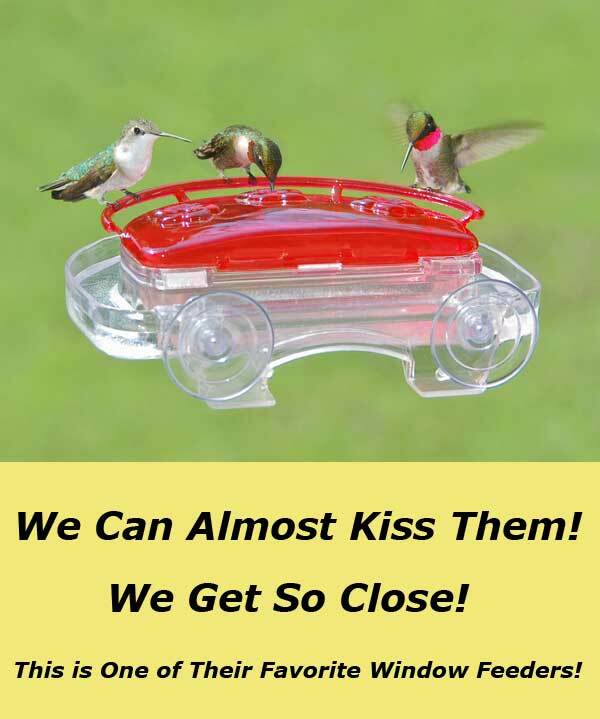 See my "Jewel Box" Window Feeder Review. The feeder is a present for my wife on Mother’s day, but I am certain she will love it. As for the process, it worked exactly as expected. The package was delivered earlier than required and was well packaged and the product is great. Keep up the good work.